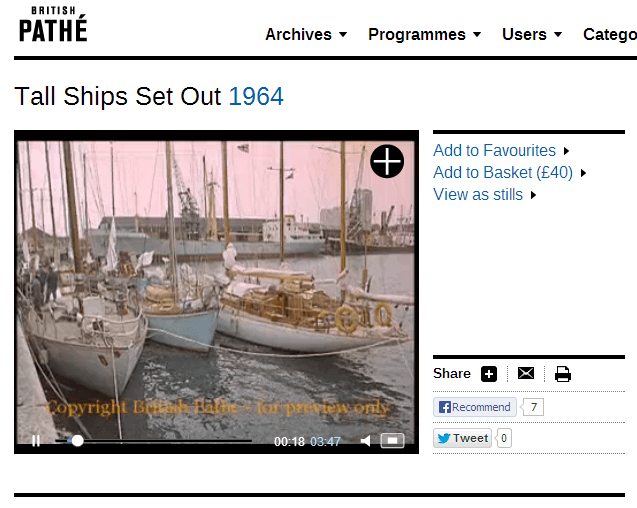 The Tall Ships Race of 1964 leaves Plymouth Hoe with a good helping of British Pathé razzmatazz. The vessels taking part include Hoshi, Tawau, Etoile, Belle-Poule and the sailing ship Danmark. At the time the presenter ruefully remarked that the British didn’t have a square-rigger – well thankfully we do now. My thanks to Amy Davenport for pointing this one out. A free berth for a youngster aged 15-25 years aboard the Victorian racing cutter Leila is up for grabs in this year’s Tall Ships Race, which takes place in the Baltic this summer. The Leila Sailing Trust has been helped in getting Leila through her last stages of MCA coding by the National Lottery, which has provided nearly £15k in support. Built in Greenwich in 1892, Leila is the fifth oldest yacht in the UK, and the last time she raced, she won the Round Britain in 1904. The draw for a free berth on the July race from Denmark to Finland will close on May 1st. 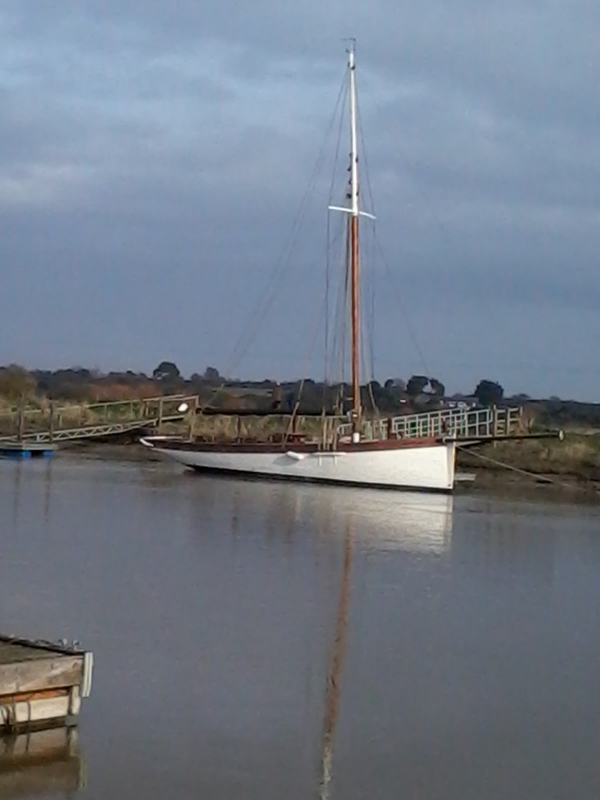 The Suffolk-based trust is just completing a £176,000 five-year restoration. In March, Awards for All, part of the Big Lottery, granted almost £10k for the safety gear needed for her Category 2 MCA safety coding. The Heritage Lottery fund who contributed nearly £50k four years ago, have also given another £5k to help with fit out and sails. 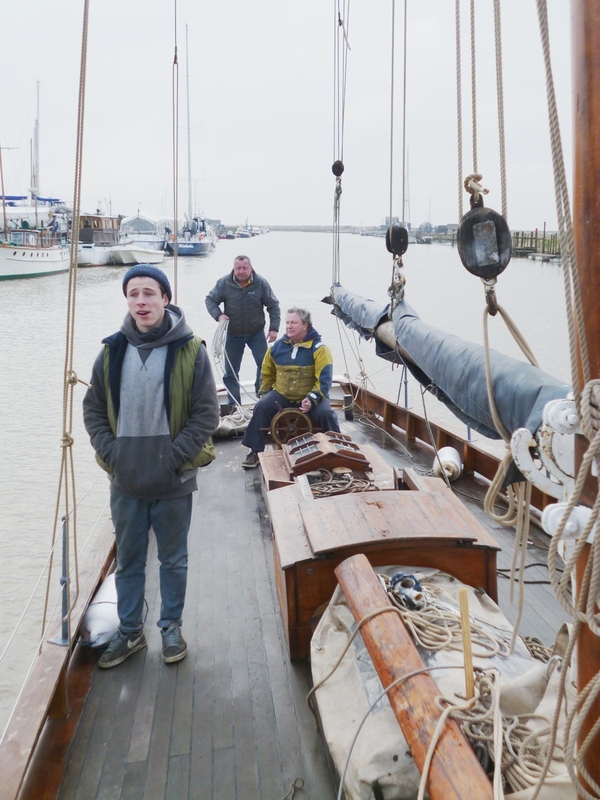 Leila will move from Southwold to Lowestoft after Easter, and will then get ready for her first weekend charter on May bank holiday. She plans to visit London, Ipswich and The Suffolk Yacht Harbour Classics before going to the Baltic for the Tall Ships in July. Participants will sail in two legs of the Tall Ships Race on the Europa, starting from Lerwick in the Shetlands on the 22nd July, then across the North Sea to Stavanger in Norway, and then to Halmstadt in Sweden. My thanks to Mike Goodwin for pointing this out!